Druids are pretty awesome healers and this page focuses on the Resto Druid in a raiding (PvE) environment (PvP is here,) which Resto does very well. For info on PvP or leveling or other Druid specs, see the links in the Contents section, just below. In Warlords there were a lot of changes for Resto, way too many to list here. Check them out on our Resto Changes in Warlords post. Like the page? Use the social wigets and “like” us. Did we miss something? Add a comment at the bottom of the page. 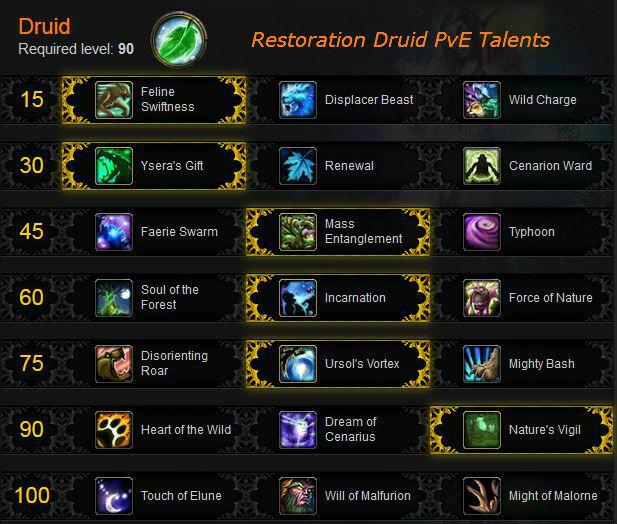 This Restoration Druid guide is primarily intended for use in PvE and Raids at level 90. However, the principals will still apply during the leveling process. If you’re looking for advice on leveling your Druid, check out our Death Knight Leveling Guide. Our picks are checked, . There are situations where you might want a different talent than those shown below and there are explanations of the talents below the image. Talents are easy to change and you will need one Tome of the Clear Mind for each change you make. Feline Swiftness is a constant movement increase, which makes it at least somewhat useful all of the time. It’s also one less item to have on your bars. Displacer Beast is much like a Mage’s blink. Pop forward, shift to cat form, and have a brief speed increase. Nice for burst movement, which is often quite useful. Wild Charge is occasionally useful. It allows you to fly to an ally’s location, useful for re-locating yourself swiftly during a fight. If burst movement to an ally is more valuable to you than Feline Swiftness, take this one. It also has use if your target is about to move to an inconvenient position, as it will put you back on top of him. Renewal has little use. You have better spells and you won’t be the center of attention anyway. If you are then that tank has probably dies and the raid is likely on the way to a wipe. Cenarion Ward was buffed in 5.2., and has its uses, but Nature’s swiftness is much more versatile. Cenarion Ward also can cause wasted healing and over healing, depending on when it triggers. Nothing stands out here, though all have their uses for certain situations. Faerie Swarm improves Faerie Fire with a speed debuff, not exactly amazing stuff here. Mass Entanglement is probably the most generally useful talent in this tier, an AoE CC. Typhoon might be situationally useful, like everything else in this tier, but I can’t think of a time. Perhaps it’s only good for PvP, where it will knock around all those evil players trying to kill you. One “good” PvE use is to troll people, getting yourself onto the hate list of your tanks and melee as you knock opponents away from them. Soul of the Forest gives you a haste effect applied to the first spell you cast after using Swiftmend. This talent is useful, but not my preferred choice. It can be nice when that Haste is applied to something like your Wild Growth, Rejuvenation, or Tranquility. It will also be available much more often that Incarnation. Incarnation: Tree of Life is great for burst healing and my recommended choice this tier. It’s also more flexible than Soul of the Forest. You get more and better healing, though it has a long cooldown. If the three minute cooldown is annoying to you, since it doesn’t necessarily line up with your fights, then Soul of the Forest might well be the better choice. 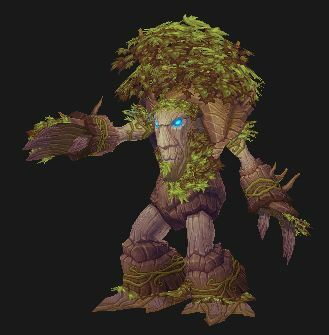 Force of Nature isn’t worth taking except for the occasional laugh when used alongside the Glyph of the Treant. The heals aren’t efficient and they aren’t much smarter than zombies. All have situational use, none stand out. None add to healing. Disorienting Roar might disorient you as you try to find a good way of using it. Good for getting away from melee mobs, but not much else. Ursol’s Vortex is a helpful targeted AoE slow, take it. It’s also the only one of the three that’s ranged. Mighty Bash is a decent stun, but requires melee range which hampers its usefulness. Better in PvP. Heart of the Wild has a good passive increases to your stats, 6% Int bonus isn’t bad at all. It’s doubtful you’ll find much use in its other, triggered, benefits and that 6 min cooldown is a long one. Dream of Cenarius might be useful if you weave in Wrath or some other attack spell to take advantage of the healing bonus. Since you’re probably not planning to DPS you can consider this talent to be useless. Nature’s Vigil is a burst healing (+12% for 30 seconds) cooldown similar to Incarnation. A much shorter cooldown than Heart of the Wild enhances its usefulness. Nice for times when a lot of damage needs to be healed quickly. Coming with the Warlords of Draenor. Note that these talents will probably change before release of that expansion. Each of these talents has varying effects depending on your spec. You can see the full description, as well as talents for the other classes, here. Touch of Elune has this effect for Resto: Omen of Clarity now lasts 5 seconds, instead of one cast. Sounds pretty nice. Will of Malfurion – Your Genesis now also extends Rejuvenation by 1 second after hastening it. Might of Malorne – Your Swiftmend now consumes your Rejuvenation or Regrowth, but has no cooldown. Glyph of Wild Growth – +1 target is affected, but adds 2 seconds to the cooldown. Glyph of Regrowth – Much larger crit change to this spell, but it loses the “over time” part. Glyph of Healing Touch – Use instead of Glyph of Regrowth is you do not want to lose the “over time” part of Regrowth. This glyph slightly reduces the cooldown on your Nature’s Swiftness. Glyph of Rejuvenation – If you have your Rejuvenation up on three or more targets then your Healing Touch cast time is slightly reduced. Glyph of Stampeding Roar provides raid utility when movement is important, although it does nothing to boost your healing. You can drop Glyph of Wild Growth to take it. Glyph of Rebirth – Not as important as it used to be since your rez brings her back to 60% anyway. Might be nice in certain tight situations. Generally the minor glyphs are purely cosmetic, but there are some that have some value. Glyph of the Sprouting Mushroom lets you place your ‘shrooms where you want. Glyph of the Stag – let’s you take a buddy along for the ride. Glyph of the Treant – If you like being a tree for some reason. Glyph of One with Nature – You can now generate a wormhole to a nice place somewhere. Warlords has done away with Hit, Expertise, and Reforging. You have two new stats, Multistrike and Versatility, and an attuned stat (Haste) obtained via your level 90 Naturalist ability. See the note on Spirit, just below. Intelligence is your #1 stat for total overall healing. Your Int is your Spellpower. It no longer adds to Crit. The value of Spirit depends on your mana usage. Gear for Spirit until you feel good about your usage, then go for something else. If you’re ending your encounters with full mana then you should swap out some spirit for other stats. You should be low on mana at the end of the fight, but not have to worry about it during the fight. Mastery basically boosts all of your healing. It adds a flat amount to your direct healing spells and, through those direct heals, also adds to your periodic heals. Haste speeds up what you do (including your “heal over time” spells,) reduces cooldowns, and helps burn mana faster. Quicker casts let you react to emergencies better. One of the Warlords changes Bliz tried to make was to remove the need for hitting certain Haste breakpoints. Hopefully this really will mean that adding X amount of Haste gives you Y improvement, without the more complicated calculation. Multistrike gives you a chance for one or two additional hits at 30% effect. Crit is a decent stat, it’s nice seeing the big numbers that result from it. The problem is that it costs a lot more to get X amount of crit than with the other stats. Versatilityis a direct add to your damage, healing, and reduction of damage taken. As a Restoration Druid you depend primarily on “periodic” or “Heal Over Time” (HoT) spells to heal a large number of targets periodically rather than the use of direct healing spells. Rather than react to damage, you apply your HoTs to any target you anticipate will take damage. There is no real “rotation,” but a list of spells that you will cast to suit the current situation. Genesis is the new (with 5.4) Resto Druid spell. It massively accelerates your Rejuvenation effects (and their expiration.) It’s best used when you have several Rejuv effects up, those effects have plenty of time left, and those targets are taking (or are about to take) heavy damage. Note that Genesis does not do additional healing, just accelerates what’s already there. A 12 second Rejuv now lasts 3 seconds, for the same total healing. Nature’s Swiftness should be used as available for the free, empowered casts that it provides. With our Mastery: Harmony we receive both a decent boost to our direct healing and a more important boost to our periodic healing effects every time we cast a direct heal. You should endeavor to maintain this buff at all times. Lifebloom is a HoT spell that stacks up to 3 times on a target and should always be applied to any target that is going to take heavy damage, likely a tank. It can only be active on one target at a time, and if you switch targets then all stacks from target #1 will move to #2 if more than 2 seconds remains on the duration. Lifebloom’s periodic heals have a chance to trigger Omen of Clarity which makes the next Healing Touch or Regrowth cast within 15 seconds cost no mana. Use Regrowth if you absolutely need to heal a target immediately and Healing Touch if you have a bit more time to get your healing in. Healing Touch is a heavy healing spell with a moderate cast time and high mana cost, use this for periods of heavy damage. Ideally your Omen of Clarity proc will make the cast free. Regrowth is a fast, high mana cost heal which heals for a large amount and adds a short, 5 second HoT effect to the target. This should be used only in emergencies due to the high mana cost. Ideally your Omen of Clarity proc will make the cast free. Rejuvenation is a HoT spell that should be applied to any target in need of healing as it has a low mana cost and is instant cast. Wild Growth heals 5 targets, 6 with the glyph, prioritizing the raid members with the lowest health at a minimal mana cost. Swiftmend is a heal that can only be cast on targets already effected by either Rejuvenation or Regrowth, healing the target and placing a circle around them that heals the three lowest health players within the zone. Wild Mushroom allows you to place up to 3 mushrooms that, when triggered with the Wild Mushroom: Bloom ability, heal all nearby players. Tranquility is a channeled AoE heal spell that heals 5 of the lowest health targets around you and is quite powerful for times of large raid damage. Innervate can and should be used almost always on yourself for the maximum benefit of the mana regeneration. Ysara’s Gift keeps you from having to be too concerned about your own health. Cenarion Ward should be applied to the tank or whoever is taking consistent damage. Incarnation: Tree of Life should be used as often as is necessary. While using this ability simply as it is available can help lighten the load of raid healing, you should probably keep it in reserve for times when the increased healing output is truly important. At lower gear levels you might want to be gemming for Spirit, depending on your needs. At higher gear levels you will have enough Spirit from your gear that you should no longer need to gem for it. As mentioned above, if you never go Out of Mana then you have enough Spirit. If you’re nearly full when the fight is over then you can get rid of some Spirit. With gear under ilevel 600 tou DO want to match socket bonuses. Here’s a possible gemming choice. Stack some Spirit until you’re happy with your mana usage, then go for as much Int as possible. Meta: Use the burning gem unless you need the spirit (Revitalizing gem) or you’re able to do the quest for the legendary Courageous gem. Yellow slots: Quick for the Haste, if you can hit that break-point or Reckless for Int and Haste. You can also slot in a Fractured Sun’s Radiance for the Mastery. Blue slots: Purified Imperial Amethyst: Int and Spirit. Gems sockets are actually few and far between (especially on PvP gear.) Also, there are no meta gems or sockets, there are no socket bonuses, and all sockets are “prismatic,” which means that they will take any available gem. Note that the lesser gem (35 instead of 50) is going to be a lot cheaper than the better gem. Lesser enchants are shown for gear under item level 600. You can apply the Warlords enchants to your level 1 heirlooms, if you’re leveling. Profession bonuses are dead in WoD. Your professions are now best used for gear or for gold. Before Cataclysm the choice of race for a Druid was a “difficult” one: Tauren or Night Elf? Now, there are four races. Cataclysm allowed the Worgen and Trolls to become Druids. Mists of Pandaria makes no changes to races and there are no Pandaren Druids. War Stomp stuns nearby opponents, which might be handy as an escape every once in awhile. Increased health (about 5%,) doesn’t seem to scale well at very high levels. As a Raid healer you won’t have much use for it. Increased crit chance is nice, even though Crit isn’t such a great stat for you. Increased XP for beast slaying. Faster movement while stealthed is nice when prowling, but you have no use for it. Warlords of Draenor has raised the level cap to 100. With thousands of quests and a million mobs to kill that trip to 90 might take a while. A long while. Want to make it much easier? An in-game leveling guide, like Zygor’s Guide, (semi) automates the whole 1-100 path for your Druid. 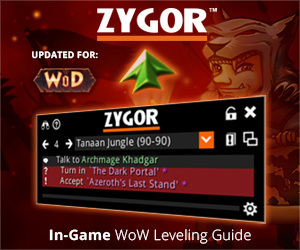 Pick your starting point, from any level, and Zygor’s will show you where to go and what to do. Whether you’re brand new and freshly boosted to 90 or are level 1 and decked head to toe in heirlooms, Zygor has your back. It automatically updates and advances as you complete tasks and quests, sets a waypoint arrow automatically (always showing you where to go next,) and includes all the important quest info. You will probably never need to look at your quest log again, much less stop mid-play to browse some website. Grab your copy here and get leveled fast, or read the review first.